Pitcher Paul Zahniser played for three teams but never had a winning year in the majors. He played for 13 teams in Organized Baseball and was once traded for Bubbles. In 14 minor-league seasons, he did win more than he lost (147-140) with a career 3.78 earned run average over 2,627 innings. During his five seasons and 125 games in the majors, twice he led the league – in pitcher fielding percentage in 1925 (a perfect 1.000 in 40 chances) and in losses in 1926, with 18. 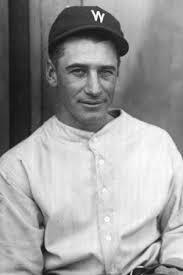 He was a 5-foot-10, 170-pound right-hander, born on September 6, 1896, in Sac City, Sac County, Iowa, a community of about 1,500 people at the time. His father, Thomas Warren Zahniser, was a butcher in a meat market, a Pennsylvanian of two Pennsylvania parents. His mother Maggie (Herold) Zahniser bore two children – Fred and, about three years later, Paul. Not only did Zahniser prove he could get in condition, but at one point, he won 15 games in a row for the Bloomers and at one point was 16-2. He finished with a 21-5 record with a 2.09 ERA.2 The Bloomers won the league championship both years. He showed a 13-16, 3.09 ERA in 1920. On March 5, 1921, the Memphis Chicks purchased his contract from Toledo.3 He enjoyed back-to-back 20-win seasons in 1921 and 1922, both with Memphis. His records were 22-12 (3.45) and 20-12, with a significantly better 2.74 ERA in 1922. He had been on pennant-winning teams three years in a row, from 1919 through 1921. As it happens, Zahniser was called up and had his big-league debut on April 18, 1923. It wasn't the best of debuts. Veteran starter George Mogridge and reliever Allan Russell were battered for seven runs in the fourth inning. Trailing the White Sox, 7-1, manager Donie Bush brought in Zahniser. He pitched two innings, giving up two unearned runs in the fifth but no runs in the sixth. He was 0-for-1 at the plate, then taken out for a pinch hitter when it was his time to bat again. The final score was 14-8. Mogridge bore the loss. Even though he gave up five runs in his next outing (May 22, his first start), the runs were all unearned. And he was given other opportunities – indeed, he pitched steadily throughout the rest of the season, mixing starts with relief appearances. His first victory was a complete-game 5-2 win against the New York Yankees on June 4. His best two games were probably the three-hit 8-1 win over the Red Sox on July 1 and his 4-0 shutout of the Yankees, a five-hitter, on September 8. By season's end, he had appeared in 33 games (21 starts) and had an ERA of 3.86 (marginally better than the Senators' team ERA of 3.98) with a record of 9-10. The Washington Post didn't expect the 1924 Senators to be any better than the 1923 team, which finished in fourth place with a losing 75-78 record. That the Senators would win the pennant and then the World Series over the New York Giants was not in the cards, as the Post saw things on the first day of April. The paper's sports editor, N. W. Baxter, felt that the pitching staff would show a "33 1/3 percent improvement" but that there was little hope for betterment in other areas. In spring training, he said that Zahniser "is no better this year than he was last, nor does he appear to be any worse. "7 As it happens, he wasn't as good, but Walter Johnson and Tom Zachary were much better, and George Mogridge held his own, benefitting from a little more run support than in 1923. Zahniser's ERA declined to 4.40 (from 3.86) and his won/loss record was 5-7. His problems were largely with control. He wasn't used as much at all, working 92 innings to 1923's 177. He started 14 games and appeared in 10 others. His best game was a two-hit shutout of the Red Sox on July 2. On August 5, he lost a tight game to St. Louis Browns pitcher Urban Shocker, 2-0. The Browns only got four hits and the Senators three. President Calvin Coolidge celebrated the winning of the pennant on October 1, along with much of Washington who joined in a parade for the players. Zahniser was on the postseason roster but was not called upon to pitch in any of the seven games, two of which went to 12 innings (Game One and Game Seven). He opened the 1925 season with the Senators again, and the Senators repeated again as American League pennant winners. But Zahniser was traded to the Boston Red Sox after the Senators had 12 games (9-3) under their belts. On April 29, both Roy Carlyle and Zahniser were traded to Boston for first baseman/outfielder Joseph "Moon" Harris. The trade was to some degree prompted by failure to reach agreement on salary terms, which had resulted in Zahniser departing the Senators' spring training camp at Tampa in February. He was suspended indefinitely and was still living in Memphis at the time of the trade, never having returned to the Senators).8 For Zahniser, it was a move from a first-place team to a last-place team. He'd been working out with the Memphis team and was understood to be in good shape when he reported to the Red Sox on May 4. By May 13, in his third relief appearance for Boston, he threw 6 2/3 innings just giving up one run. As in other years, he had some very good games – a 2-1 win over the Indians on August 28 and a shutout of the Browns on September 17, but most of his games were not that successful. The 1924 Red Sox had won 67 games, with Howard Ehmke leading all pitchers with 19 wins, and hoped for improvement. Lee Fohl remained manager. They didn't get it. Ehmke was 9-20 and both Red Ruffing (9-18) and Ted Wingfield (12-19) made bids to become 20-game losers as well. The 1925 staff had no pitcher who won more than 12 games. Zahniser was 5-12, with a 5.15 ERA that sounds truly bad, but relatively speaking was not a whole lot worse than the team's collective 4.97 ERA. His .294 wins percentage, however, was nearly the lowest on the team. It was a pretty bad year for "Zannie" in 1926, and the Red Sox didn't fare any better. Zahniser could perhaps take consolation that the team also featured Howard Ehmke (3-10) and Fred Heimach (2-9). The Red Sox pitcher with the best ERA on the entire staff among all pitchers with two or more innings was Jack Russell (3.58); his won/loss record was 0-5. It should come as little surprise that the Red Sox finished last again. They won 46 games and lost 107, and finished more than 15 games behind the seventh-place St. Louis Browns. They were 44½ games behind the first-place Yankees. Zahniser's losses did lead the league, tied with Milt Gaston of the Browns. Three pitchers tied for second place, one of them Zahniser's former teammate, Walter Johnson. Another was his present teammate Wingfield. He had two good years in St. Paul, 20-15 in 1927 (4.14) and 13-10 (3.57) in 1928. On December 13, he was traded to the Cincinnati Reds, with some cash, for catcher Bubbles Hargrave. Zahniser actually only played in one game for the Reds, his last game in the major leagues. It was the fourth game of the 1929 season, a 9-4 loss to the Cardinals on April 19. Zahniser came into the game to pitch the top of the ninth, with St. Louis holding a 6-4 lead. He gave up three runs. The Reds did not score. He was released to Toledo on April 22, one of three player sent out to cut down the Reds roster. In 1929, Babe Ruth talked about Zahniser as his "cousin." He wrote, "Every time he pitched against us I knew I would get two or three hits – and so did he….I always knew just what he was going to pitch…after I faced him once or twice I noticed that on his fast ball he raised his hands far above his head. When he was pitching his curve ball his hands went only as high as his eyes. "10 It was about as blatant a "tell" as a batter could hope for. He delivered for Seattle, winning 18 games but it wasn't without a bump or two in the road. On May 20, both he and catcher Pat Collins were sent home from San Francisco "for breaking training" and "because they couldn't keep in condition" – euphemisms at the time for alcohol abuse.12 They missed about a week, reinstated on the 28th but when he was suspended again on August 6 and fined $250, he packed up and said he was leaving the team, and that he would take a job he'd been offered as a golf pro in Sacramento.13 Three days later, he was back on the mound for Seattle. After the 18-14 (4.06) season, he headed to Sacramento but the only activity there the newspapers reported was in duck hunting. He was hit on the shin during spring training in 1931 and a week or so later on the arm, needing X-rays. He started the season, but was apparently unhappy with Seattle and on May 18 was sold to the San Francisco Missions "to settle a financial debt owed by the Indians. "14 He clearly had a hard time getting along with manager Ernie Johnson, too.15 The Missions finished seventh (Seattle finished eighth) and Zahniser had a combined record of 8-16, with a 5.10 ERA. In 1933, he "slipped out of professional baseball"18 and played some semipro ball (the May 5 issue of The Daily Olympian reports him pitching for the Los Angeles Old Timers in an exhibition game against the Olympia Merchants. The Merchants scored eight runs, but lost 18-8. In February 1937, Zahniser announced that he had been signed to coach the St. Joseph, Missouri, team in the Western League.22 The story ran under a headline that said he had signed with St. Paul. Even more confusing in retrospect is the fact that St. Joseph didn't have a team in the Western League from 1936 through 1938. Zahniser pitched in the league, though, for Rock Island, but he was just 2-9. It was his last year listed as a player. At least one newspaper reported him as a "college player" at one point during his playing days, but surviving brother Fred Zahniser reported that he was a high school graduate.23 Paul Zahniser never married. He enjoyed hunting, fishing, and shooting clay birds. After baseball, he's found in various city directories working in Ashland, Ohio, as a factory worker for the Ashland Rubber Products Company in 1953 and then working the very next year for a company called PSNS in Bremerton, Washington. In addition to the sources noted in this biography, the author also accessed Zahniser's player file and player questionnaire from the National Baseball Hall of Fame, the Encyclopedia of Minor League Baseball, Retrosheet.org, Baseball-Reference.com, and the SABR Minor Leagues Database, accessed online at Baseball-Reference.com. 1 Chicago Tribune, May 13, 1919. 2 Rockford Daily Register Gazette, July 19, 1919 and December 11, 1919. 3 New Orleans States, March 5, 1921. 4 Boston Globe, July 2, 1923. 5 Washington Post, May 5, 1923. 6 Boston Herald, July 28, 1923. 7 Washington Post, April 1, 1924. 8 Washington Post, February 20, 1925 and Boston Globe, April 30, 1925. 9 Boston Globe, December 8, 1926. 10 San Diego Evening Tribune, January 21, 1929. 11 Seattle Daily Times, January 21, 1930. 12 Seattle Daily Times, May 21 and 27, 1930. 13 Seattle Daily Times, August 7, 1930. 14 Bellingham Herald, May 22, 1931. 15 Seattle Daily Times, March 25, 1934. 16 The Oregonian, April 13, 1932. 17 The Oregonian, August 15, 1932. 18 Seattle Daily Times, May 1, 1933. 19 Los Angeles Times, March 24, 1934. 20 Los Angeles Times, May 16, 1934. 21 The Oregonian, August 5, 1934. Oddly, numerous newspapers had reported in December 1932 that he'd been released to the Albany, New York, club. 22 Dallas Morning News, February 26, 1937. 23 Player questionnaire from the National Baseball Hall of Fame. 24 Standard Certificate of Death, State of Oregon.